Paris ’68. The Vietnam War. Tienanmen, 1989. Quebec, 2012. And now, post-Communist Bulgaria, 2013. In a broader perspective, 2013 will probably be remembered for the unprecedented chasm that seems to have opened between people and their representative institutions throughout the democratic world: some examples are Congress’ approval anti-record, sustained political polarization, and ongoing protests all over Europe. Our generation is also at a crossroads, because we have to solve big problems and we’re not certain we’ll have the ability or resources to scale the solutions: inequality, economic recovery, revitalizing democracy, restoring trust and optimism, among others. We have one big advantage over parents and grandparents: the dynamism of unencumbered thinking, considering ideas at latitude and pointing out to the emperor’s chagrin that he truly doesn’t have any clothes on. This is exactly what’s happening with Bulgaria’s student protests and it is a microcosm for that fact that, in the end, it is up to us, Millennials, to revitalize democracy for the 21st century in a global perspective. Students represent a tidal social movement. A whopping 147 protests in a row demanding the resignation of Plamen Oresharski’s government have gripped Bulgaria since June 14 when the government appointed Delyan Peevski for head of the National State Security Agency (DANS). 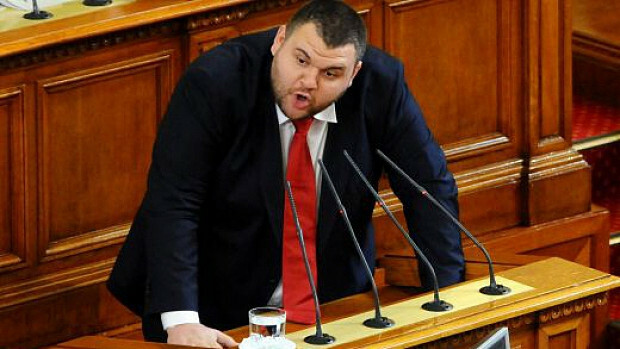 The public pressure led to his withdrawal, but Peevski nonetheless became the summary image of the grotesque that is Bulgarian democracy today: brutal, short-sighted, cynical, oligarchic and shallow. The protests received a new impetus from young people recently, when students showed their opposition by occupying universities around the country. They have become the anti-government protest&apos;s natural leaders, demanding a moral and systemic revolution in Bulgaria’s political model, starting with the resignation of the current government. The trigger for the students&apos; political activism was a recent decision by the constitutional court (analogous to the U.S. Supreme Court) to re-instate Peevski as a member of parliament, after intentionally withholding judgement on the question of whether Peevski was to become a part of the executive branch as head of DANS, or remain as an MP, since formally occupying both posts would constitute a conflict of interest. Ironically, the occupation of Sofia University began at a lecture of the same Constitutional Court judge Dimitar Tokushev who voted to keep the Peevski issue undecided. As the Economist has repeatedly written on the issue, Bulgaria’s government follows an oligarchic model: a symbiosis between public institutions and a clique of appointed "capitalists," loyal to the Communists, whose purpose in life is concentrating and extending its power and wealth at any cost. A minority at the top is not exceptional to any country — every society is inherently hierarchical — but the problem comes when the links between that echelon and the general public fracture irreversibly and produce a systemic misalignment of principles, morals, institutions and politics. In a word, Bulgaria’s social contract is broken and needs to be reset. Our parents had high hopes in the early 1990s, but they had one big problem: the nation’s historical democratic experience is relatively short, spanning from the 1880s to the 1940s, amidst a number of costly wars, and it was then cut short by the Communists in 1944. Two generations of totalitarianism caught the young without the required knowledge or experience to usher in democracy; a quarter century later, millennials, who have grown up in an open world with access to information, know what to demand from the system that governs them. That is a crucial difference in the struggle for reform happening now. Millennials are harbingers of important changes in Bulgaria&apos;s political culture, acting as catalysts to transform its regime from a proto-totalitarian pseudo-democracy serving a small oligarchy to a more genuine variant of the democratic ideal. Western democracy needs changes too — restoring faith in representative institutions, reigning in unaccountable states-within-states (like the NSA), and revitalizing capitalism towards a more egalitarian form — these are the challenges before us. Bulgaria is the microcosm, but the issues are global.